RMSC has a total of 11 rooms. 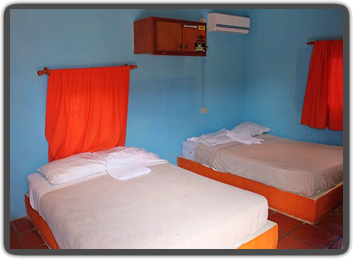 All rooms are equiped with A/C and Private Bathroom. 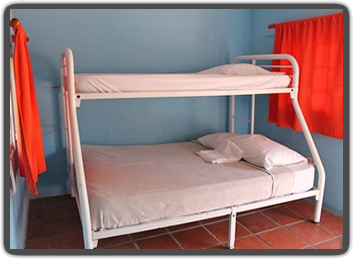 Private Rooms with 2 Full size beds, cable TV, A/C, private bathroom. Small room 3 people $40, Large room 4 people $70 per night. If you stay longer than 1 week at RMSC, you get 1 free night. Check in is at 12pm - Check out is at 2pm.